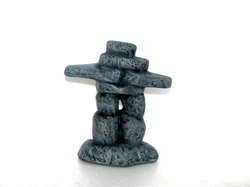 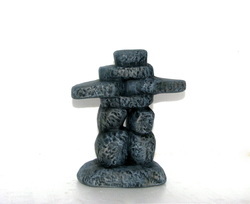 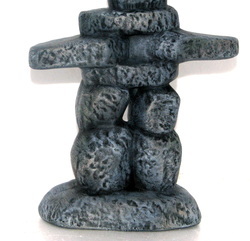 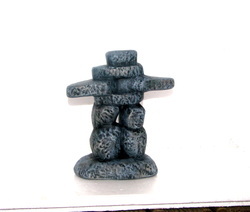 Realistically painted inukshuk. 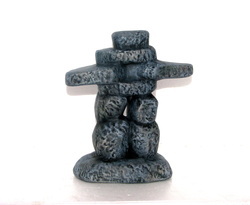 Great for either indoor or outdoor decoration. 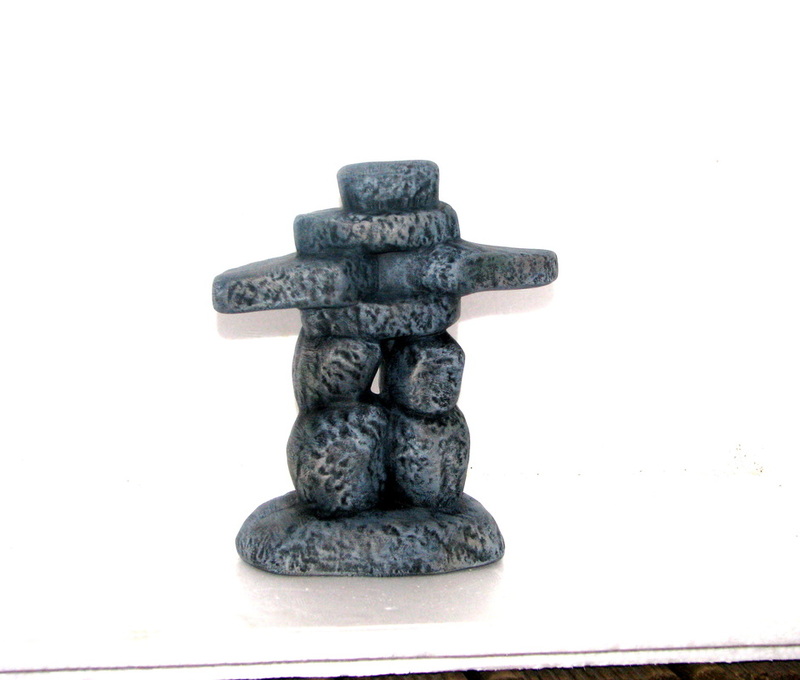 Can be placed in a garden. One of the symbols of the Canadian olympics. **This piece is hand made in my studio: we pour the mold, sand the item of any imperfections, and then fire in one of our studio's kilns. Then the piece is painted in a dry brushing technique that results in a textured, realistic look.